Grief Is A Necessary Part Of Healing! Check out GriefShare.org There is a season for all things including grief. Here are some encouraging scriptures about grief. Please contact us if you have any questions or comments or would just like some encouragement! 2 Corinthians 1:3-4 Praise be to the God and Father of our Lord Jesus Christ, the Father of compassion and the God of all comfort, who comforts us in all our troubles so that we can comfort those in any trouble with the comfort we ourselves receive from God. There Is No Way To Avoid Grief! Learn how grief can help people heal! Grief can wash over us like a title wave. Sometimes it can be very damaging emotionally and physically. Learn how to better cope with pain. Deep feelings can overcome us like a title wave, and sometimes it can be very damaging to a person emotionally, physically, and mentally. Many people do not do what they ought to do to deal with it so they can grow through it. The feeling people experience while going through traumatic type experiences can affect them in ways they never thought possible. These types of emotions can affect our overall performance and daily functioning in life. 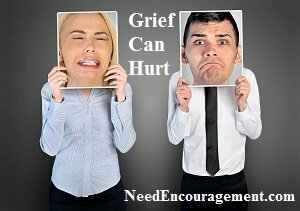 Grief can happen anytime because of loss of any kind such as divorce, the breakup of a significant relationship, the death of a loved one, loss of physical health, diagnosis of a medical situation such as cancer, etc. Christians Do Not Grieve As Those Who Have No Hope! You can not overlook your feelings of grief because if you do, you will not heal properly! During potentially sad times, a person needs comfort, support, and help. The first place to look for this type of advice is from God who created us and sustains us to make it through every situation we find ourselves. I had experienced a significant amount of grief, tears, depression, sadness, and anger when my ex-wife moved out so that she could “find herself” which ripped a massive hole in my life! It was very peculiar because her and I were not getting along for years (basically since our honeymoon), but there was a deep sadness for me for her breaking our vows in front of God and all our family and friends. Does “blessed are those who mourn” mean something special? 7 Things You Can Do To Get Through Grief Or Loss! Express your thoughts and feelings to God through prayer. 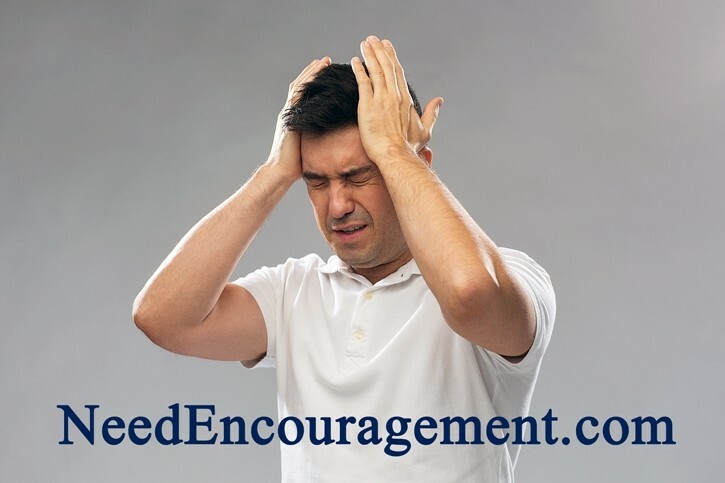 Contact a close friend, counselor, pastor for emotional, spiritual, and mental support. Allow yourself a reasonable amount of time to feel sad and process your thoughts and feelings. Keep your routine generally going as possible such as work, social, and daily self-care. Sleep 7-8 hours per night, keep a healthy routine overall. Avoid unnecessary medications or alcohol. Eat healthily drink plenty of water, avoid overeating or under eating. We will face many painful things on this side of Heaven. We will face tears, death, sorrow, grief, pain, loss, sickness and loss, and many problems here on earth. But we know when we are in Christ, that in the end, we serve a God who will wipe away every tear we have shed on this side of Heaven. Revelation 21:4 Promises That! We can stand on His WORD! Look forward to the hope of knowing one day all we have faced on this side of heaven will be wiped away. Grief Needs To Be Shared Properly! The Five Stages Of The Grief Prosses! What Not To Say To Someone Who Is Grieving!